The Piccadilly Records Book Launch Party! On Friday 30th October, legendary Manchester record shop Piccadilly Records will hold the launch of The Piccadilly Records Book at Northern Quarter hangout Kosmonaut. Celebrating 25 years as Manchester's leading independent record shop, The Piccadilly Records Book is a tribute to a thriving vinyl sub-culture, which has survived against all the odds. The photo book, self-published by Gwen and Michael Riley Jones, looks at the people who have made the shop so special. Alongside current and ex-staff, the book features a host of Manchester musicians and DJs including Johnny Marr, Marc Riley, Tim Burgess and Duncan Wallis (of Dutch Uncles) and regular customers, all of whom have played an integral role in the history of the shop. Richard Hector-Jones wrote the book's introduction; he comments: "This book is a testament to the Piccadilly Records attitude to business. It's not about just the staff who work there or the 'pop' stars and DJs that pass through. It's about the music lovers that come in on a regular basis putting money through the tills and buying all those inspiring albums". The launch will be free entry, no ticket required. 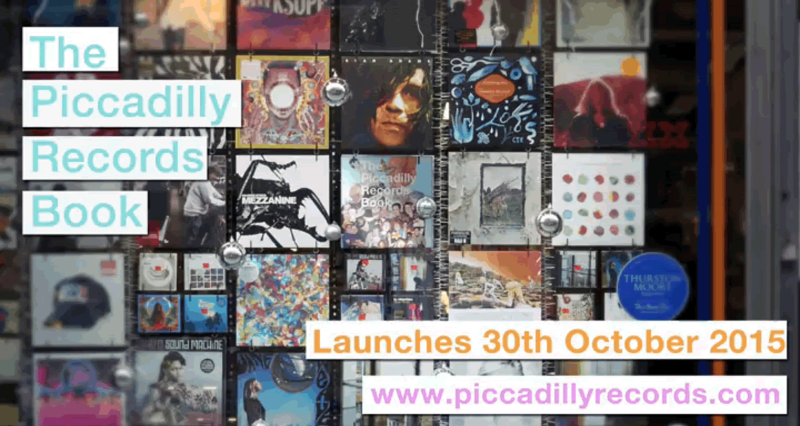 The launch will feature Piccadilly Records DJs plus sets from special guests (all featured in the book). The book will be sold on the evening for a special price of £10, usual price £12.99 (available from Piccadilly Records). A fitting venue for the monumental Manchester music occasion, in a former life Kosmonaut was the old Spirit Studio, where the Stone Roses, The Smiths, Happy Mondays and The Fall rehearsed and recorded in their early years. Known for its excellent taste in music, Kosmonaut's regular nights include Joy Social, Night Fantasy and the infamous Pasta Paul's Post-Office Payday Ping Pong Party, which recently returned by popular demand. Plus the bar has regular sets from Will Tramp!, Robin (Dutch Uncles), and one-offs from the likes of Everything Everything, Il Bosco (Red Laser) and Krysko (WHP).